Total Care Dental offers a variety of preventative dentistry services to ensure your smile is as healthy as can be. Good oral health is important to your overall well-being and it all begins with your regularly scheduled 6-month check-up. Twice a year you should visit a dentist for a full checkup of your teeth and gums. Our local dental professionals provide comprehensive care, dedicated to treating any dental issues you may have. Since your smile is a big part of who you are, you should always make sure you’re taking proper care to stay healthy and prevent potential oral health problems. It’s impossible to get all the plaque and tartar off your teeth without a professional cleaning. Nobody goes to the dentist and is told their teeth are perfect. This is nothing to be ashamed of; even dentists get regular checkups and cleanings. Going to the dentist shows you care enough about your health and your teeth to make sure everything is okay. Avoiding preventative care and treatment of current dental health issues can result in irreversible damage. In extreme cases, you can permanently lose teeth because of something ordinarily treatable. Paying attention to various oral health symptoms will make diagnosis and treatment easier. Trust our experienced and friendly Madison dentists to provide the necessary care to keep your smile strong and healthy. Preventative dental care from Total Dental Care saves you money in the long run. Getting restorative dentistry can get expensive, and it’s always better not to get a cavity or need a root canal in the first place. Maintaining the health of your teeth can be as simple as brushing your teeth daily, flossing, and seeing a dentist twice a year. The cost of toothpaste, floss, and checkups does not come anywhere near the cost of needing to get three of your teeth bridged together because you wore down your enamel, never got your teeth cleaned, and bit down into a frozen candy bar and lost a few teeth. In that scenario, you need to get the remaining parts of the teeth ground down or removed in one visit. Next, need x-rays to find out if there’s enough bone left in the mandible to hold the new teeth. And in yet another visit, the damaged or missing teeth will be replaced. Doesn’t it sound easier to brush your teeth, floss, and visit the experts at Total Care Dental twice per year? A twice annual checkup and preventative cleaning is crucial to your overall oral health. Routine visits are highly recommended to ensure a healthy smile. With a comprehensive cleaning and thorough exam, your oral health is in the hands of our experienced dental team. See more about our Madison teeth cleaning and preventative checkups. Oral cancer is one of the most prominent forms of cancer and can affect most people, even those under 40 years of age. Our dentists recommend an annual oral cancer screening for early detection and to increase the chances of successful treatment. It’s never too early for you and your loved ones to take action to prevent oral cancer. Learn more about our Madison oral cancer screening. Periodontal disease, more commonly known as gum disease, could lead to further dental health issues if not treated. Routine visits keep your gums healthy and allow our dentists to spot the disease early on. If you’re currently suffering from periodontal disease, we offer thorough periodontal therapy to treat the disease. View more information about the periodontal therapy Madison relies on. Good oral hygiene is important for your teeth, gums, and overall well-being. Regular twice annual visits to our dentists and good oral hygiene habits will ensure your smile remains healthy and beautiful. 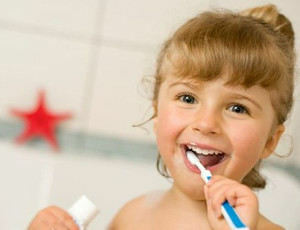 Our dental team provides you with the best oral hygiene tips. We also offer a list of indicators of good oral health, allowing you to be sure your teeth are continuously healthy. Find out more about our Madison oral hygiene tips. Temporomandibular joint (TMJ) disorders are common and can result in a variety of uncomfortable symptoms. These disorders can cause headaches, ear aches, jaw discomfort and can disrupt daily life. Our professional dentists guide those suffering from TMJ disorders through a customized treatment process with expert TMJ therapy to improve daily comfort. Learn more about the TMJ therapy Madison trusts most. Under Armour Performance Mouthwear™ is designed to provide the highest level of performance to athletes in every sport. From high impact hockey to relaxed golf, these mouth guards protect teeth during contact sports and improve your game by eliminating the effects of teeth clenching. Learn more about our Madison Under Armour sports mouth guards. Bruxism, or teeth grinding, is common and generally occurs during sleep. If left untreated, this grinding can wear down teeth, causing them to become weak and brittle. Our dentists provide prevention, diagnosis and treatment of bruxism to help prevent your teeth from further damage. Learn more about how our dental team can provide the bruxism treatment Madisonrelies on most. Sleep apnea is a serious condition which causes an individual to stop breathing during sleep. The cause of sleep apnea ranges from airway structural problems to obesity. Our dentists work with your doctor to diagnose and treat sleep apnea based on the severity of the condition, ensuring safer, uninterrupted sleep. Find out more about Madison sleep apnea treatment. To find affordable dentistry services in the Madison area, just visit Total Care Dental! One of the reasons many adults stop going to the dentist regularly is because they believe they cannot afford it, especially if they don’t have insurance. We offer our patients many financing options so all preventative, cosmetic, and restorative services are fully affordable. If you do not have dental insurance, you can still visit our dentist office! We accept cash, personal check, Visa, MasterCard, American Express, Discover, CareCredit®, and Illumisure payment plans. Just ask our staff about financing when you make your appointment. Contact our Madison dental clinic to schedule a preventative cleaning and checkup, ensuring the best oral health and a healthy smile.